The 23-year-old office employee is only one of the many Filipinos who prefer to have a meal with bread than rice as staple. The average amount of rice Filipinos are consuming has continuously been dropping in the past decade. According to the Bureau of Agricultural Statistics (BAS), the average amount of rice consumed by a Filipino in a year has dropped from 119kg in 2008 to 110kg in 2015. And Filipinos’ prime alternative for the staple? Bread. Since 2010, the number of Filipinos that are choosing to eat bread over rice during meals has increased from 45 percent of the total population to 65 percent in the same period, according to BAS. The reason for this phenomenon is varied, from budget constraints to health. The trend is good news for the bread industry, especially for the country’s largest producer of loaf breads, Gardenia Bakeries Philippines. The company has been the prime market leader for the packed breads segment for years, maintaining it at 60 percent as of 2016, according to Gardenia Bakeries Philippines President Simplicio Umali Jr.
“We’ve been growing much faster than the market does. For 2016 we grew at 18 percent and we’re looking at 20 percent by the end of 2017,” Umali said in an interview with Entrepreneur Philippines. Umali estimates the bread industry in the country generates annual revenues of Php18 billion, which is divided into two segments: packed breads—or baked goods sold in supermarkets and groceries—and unpacked breads, which are sold by community and specialty bakeries. The two segments roughly account for half each of the Php18 billion. 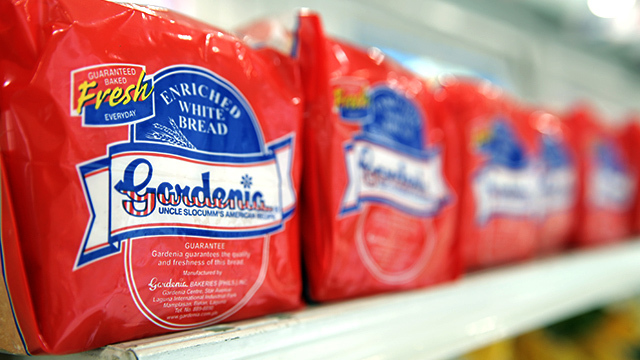 Gardenia dominates the packed breads segment, accounting for 60 percent of the market in Metro Manila and surrounding areas. In 2015, the company recorded Php4.1 billion worth of revenues, enjoying an average annual growth of 45 percent since 2010, according to its financial statements submitted to the Securities and Exchange Commission. The Singaporean brand operates the country’s largest packed bread manufacturing plant in Laguna, a facility that churns out more than 850,000 loaves every day or more than 25 million packs of loaf breads a month. It’s enough to supply groceries and supermarkets from Northern Luzon to the southernmost tip of the Bicol region. Soon, the company will open a Php1-billion manufacturing facility in Mindanao, which is expected to add 130,000 loaves of bread to the company’s supply chain every day to address the growing demand for bread in the region. 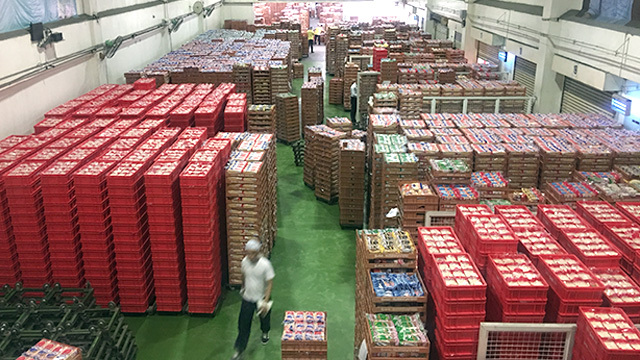 With its facility in Cebu also manufacturing around 100,000 loaves of bread every day, the company produces more than a million bread loaves daily to maintain its position in the market. Not that Gardenia is worried about competition. With the growing demand for baked goods, Umali believes that the market still has plenty of room to grow. Umali admits the company is in “growth mode,” changing its gears just as Filipinos are changing their consumption habits. In 2015, the company decided to enter the unpacked breads segment, introducing two new brands to the market—Big Smile Bread Station and Bakers’ Maison. Big Smile aims to be the company’s distribution channel for smaller communities offering fresh pandesal daily and other baked goods common to the Filipino palate like kababayan, monay and ensaymada to capture the mass market. The brand already has over 40 branches mostly in Southern Luzon and select cities in Metro Manila. Meanwhile, Bakers’ Maison represents the company’s efforts to enter the artisanal bread category, serving a niche market of middle class consumers who prefer specialty bread as it offer pastries known from all over the world: croissants, Danish bread, gourmet sandwiches and cookies. Compared to Big Smile, operations for the brand has been quite small with only nine branches located in Metro Manila. 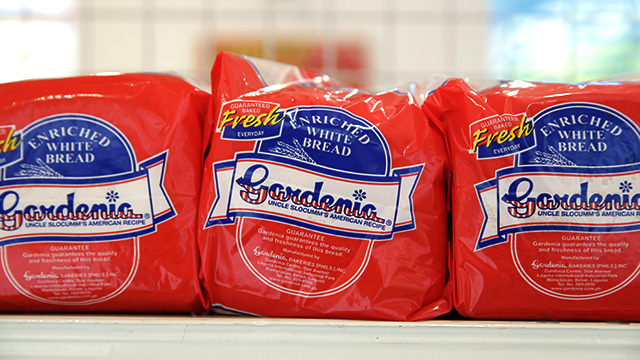 Unlike the packed breads segment, the unpacked breads territory is still new for Gardenia as it entered the marketplace quite late in the game. Food and drinks conglomerate San Miguel Corp. for one got into the segment early on with its Kambal Pandesal brand. Then there are the neighborhood bakeries located in almost every corner of the country’s biggest town plazas and cities. Still, Umali is confident Gardenia has found ways to make a name for itself in the segment even with the saturated market. Unlike neighborhood bakeries and chains that make their breads in-stores daily, Big Smile hopes to change the game and lift the burden from future store owners by making its store bread offerings in huge factories. The goods are produced and finished overnight then delivered to stores just before sunrise, in time for communities’ daily breakfast fares. The strategy does not only ensure freshness and quality control among all of its products, it also cuts costs for future store owners as the only equipment they would need in stores are ovens and the only staff needed are salespeople. The simplified business operations have given way to cheaper franchising fees as low as Php208,000. It’s a huge move for a brand that hopes to grow through franchising. Umali said the company is gearing to have 1,000 Big Smile stores in five years, which means it will open a store every other day, all of which will be franchised. The same simplified approach to operations is used for Bakers’ Maison as dough for every pastry sold in stores are already blast-frozen in commissaries. Thus, bakers in outlets will only have to bake the goods and add toppings if necessary. “If you’re a bakery chain, tastes and qualities [of products] can change per branch. That’s what differentiates us from the rest. In our case, we will give you consistent quality,” Umali said. He admits it has not been easy to penetrate the segment as operations have not earned the business economies of scale. Still, he remains unfazed. After all, he has been leading the company for the past 18 years, growing it from a small, unknown brand from Singapore into a Filipino brand icon, as if it was homegrown.